Without any figure of speech I feel quite ashamed when I think of you, Bertie. 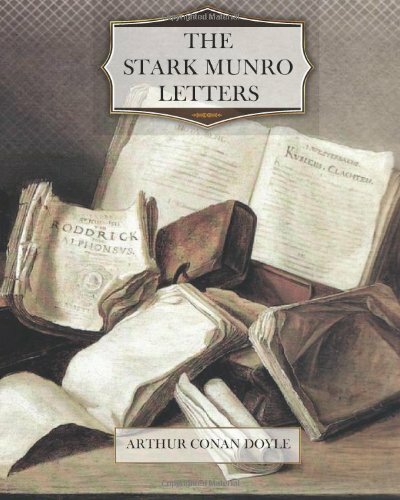 I send you one or two enormously long letters, burdened, as far as I can remember them, with all sorts of useless detail. Then, in spite of your kindly answers and your sympathy, which I have done so little to deserve, I drop you completely for more than six months. By this J pen I swear that it shall not happen again; and this letter may serve to bridge the gap and to bring you up to date in my poor affairs, in which, of all outer mankind, you alone take an interest. To commence with what is of most moment, you may rest assured that what you said in your last letter about religion has had my most earnest attention. I am sorry that I have not got it by me to refer to (I lent it to Charlie), but I think I have the contents in my head. It is notorious, as you say, that an unbeliever may be as bigoted as any of the orthodox, and that a man may be very dogmatic in his opposition to dogma. Such men are the real enemies of free thought. If anything could persuade me to turn traitor to my reason, it would, for example, be the blasphemous and foolish pictures displayed in some of the agnostic journals. But every movement has its crowd of camp followers, who straggle and scatter. We are like a comet, bright at the head but tailing away into mere gas behind. However, every man may speak for himself, and I do not feel that your charge comes home to me. I am only bigoted against bigotry, and that I hold to be as legitimate as violence to the violent. When one considers what effect the perversion of the religious instinct has had during the history of the world; the bitter wars, Christian and Mahomedan, Catholic and Protestant; the persecutions, the torturings, the domestic hatreds, the petty spites, with ALL creeds equally blood-guilty, one cannot but be amazed that the concurrent voice of mankind has not placed bigotry at the very head of the deadly sins. It is surely a truism to say that neither smallpox nor the plague have brought the same misery upon mankind. I cannot be bigoted, my dear boy, when I say from the bottom of my heart that I respect every good Catholic and every good Protestant, and that I recognise that each of these forms of faith has been a powerful instrument in the hands of that inscrutable Providence which rules all things. Just as in the course of history one finds that the most far-reaching and admirable effects may proceed from a crime; so in religion, although a creed be founded upon an entirely inadequate conception of the Creator and His ways, it may none the less be the very best practical thing for the people and age which have adopted it. But if it is right for those to whom it is intellectually satisfying to adopt it, it is equally so for those to whom it is not, to protest against it, until by this process the whole mass of mankind gets gradually leavened, and pushed a little further upon their slow upward journey. Catholicism is the more thorough. Protestantism is the more reasonable. Protestantism adapts itself to modern civilisation. Catholicism expects civilisation to adapt itself to it. Folk climb from the one big branch to the other big branch, and think they have made a prodigious change, when the main trunk is rotten beneath them, and both must in their present forms be involved sooner or later in a common ruin. The movement of human thought, though slow, is still in the direction of truth, and the various religions which man sheds as he advances (each admirable in its day) will serve, like buoys dropped down from a sailing vessel, to give the rate and direction of his progress. But how do I know what is truth, you ask? I don’t. But I know particularly well what isn’t. And surely that is something to have gained. It isn’t true that the great central Mind that planned all things is capable of jealousy or of revenge, or of cruelty or of injustice. These are human attributes; and the book which ascribes them to the Infinite must be human also. It isn’t true that the laws of Nature have been capriciously disturbed, that snakes have talked, that women have been turned to salt, that rods have brought water out of rocks. You must in honesty confess that if these things were presented to us when we were, adults for the first time, we should smile at them. It isn’t true that the Fountain of all common sense should punish a race for a venial offence committed by a person long since dead, and then should add to the crass injustice by heaping the whole retribution upon a single innocent scapegoat. Can you not see all the want of justice and logic, to say nothing of the want of mercy, involved in such a conception? Can you not see it, Bertie? How can you blind yourself to it! Take your eyes away from the details for a moment, and look at this root idea of the predominant Faith. Is the general conception of it consistent with infinite wisdom and mercy? If not, what becomes of the dogmas, the sacraments, the whole scheme which is founded upon this sand-bank? Courage, my friend! At the right moment all will be laid aside, as the man whose strength increases lays down the crutch which has been a good friend to him in his weakness. But his changes won’t be over then. His hobble will become a walk, and his walk a run. There is no finality—CAN be none since the question concerns the infinite. All this, which appears too advanced to you to-day, will seem reactionary and conservative a thousand years hence. Since I am upon this topic, may I say just a little more without boring you? You say that criticism such as mine is merely destructive, and that I have nothing to offer in place of what I pull down. This is not quite correct. I think that there are certain elemental truths within our grasp which ask for no faith for their acceptance, and which are sufficient to furnish us with a practical religion, having so much of reason in it that it would draw thinking men into its fold, not drive them forth from it. When we all get back to these elemental and provable facts there will be some hopes of ending the petty bickerings of creeds, and of including the whole human family in one comprehensive system of thought. When first I came out of the faith in which I had been reared, I certainly did feel for a time as if my life-belt had burst. I won’t exaggerate and say that I was miserable and plunged in utter spiritual darkness. Youth is too full of action for that. But I was conscious of a vague unrest, of a constant want of repose, of an emptiness and hardness which I had not noticed in life before. I had so identified religion with the Bible that I could not conceive them apart. When the foundation proved false, the whole structure came rattling about my ears. And then good old Carlyle came to the rescue; and partly from him, and partly from my own broodings, I made a little hut of my own, which has kept me snug ever since, and has even served to shelter a friend or two besides. The first and main thing was to get it thoroughly soaked into one that the existence of a Creator and an indication of His attributes does in no way depend upon Jewish poets, nor upon human paper or printing ink. On the contrary, all such efforts to realise Him must only belittle Him, bringing the Infinite down to the narrow terms of human thought, at a time when that thought was in the main less spiritual than it is at present. Even the most material of modern minds would flinch at depicting the Deity as ordering wholesale executions, and hacking kings to pieces upon the horns of altars. Then having prepared your mind for a higher (if perhaps a vaguer) idea of the Deity, proceed to study Him in His works, which cannot be counterfeited or manipulated. Nature is the true revelation of the Deity to man. The nearest green field is the inspired page from which you may read all that it is needful for you to know. I confess that I have never been able to understand the position of the atheist. In fact, I have come to disbelieve in his existence, and to look upon the word as a mere term of theological reproach. It may represent a temporary condition, a passing mental phase, a defiant reaction against an anthropomorphic ideal; but I cannot conceive that any man can continue to survey Nature and to deny that there are laws at work which display intelligence and power. The very existence of a world carries with it the proof of a world-maker, as the table guarantees the pre-existence of the carpenter. Granting this, one may form what conception one will of that Maker, but one cannot be an atheist. Wisdom and power and means directed to an end run all through the scheme of Nature. What proof do we want, then, from a book? If the man who observes the myriad stars, and considers that they and their innumerable satellites move in their serene dignity through the heavens, each swinging clear of the other’s orbit—if, I say, the man who sees this cannot realise the Creator’s attributes without the help of the book of Job, then his view of things is beyond my understanding. Nor is it only in the large things that we see the ever present solicitude of some intelligent force. Nothing is too tiny for that fostering care. We see the minute proboscis of the insect carefully adjusted to fit into the calyx of the flower, the most microscopic hair and gland each with its definite purposeful function to perform. What matter whether these came by special creation or by evolution? We know as a matter of fact that they came by evolution, but that only defines the law. It does not explain it. But if this power has cared for the bee so as to furnish it with its honey bag and its collecting forceps, and for the lowly seed so as to have a thousand devices by which it reaches a congenial soil, then is it conceivable that we, the highest product of all, are overlooked? It is NOT conceivable. The idea is inconsistent with the scheme of creation as we see it. I say again that no faith is needed to attain the certainty of a most watchful Providence. And with this certainty surely we have all that is necessary for an elemental religion. Come what may after death, our duties lie clearly defined before us in this life; and the ethical standard of all creeds agrees so far that there is not likely to be any difference of opinion as to that. The last reformation simplified Catholicism. The coming one will simplify Protestantism. And when the world is ripe for it another will come and simplify that. The ever improving brain will give us an ever broadening creed. Is it not glorious to think that evolution is still living and acting—that if we have an anthropoid ape as an ancestor, we may have archangels for our posterity? Well, I really never intended to inflict all this upon you, Bertie. I thought I could have made my position clear in a page or so. But you can see how one point has brought up another. Even now I am leaving so much unsaid. I can see with such certainty exactly what you will say. “If you deduce a good Providence from the good things in nature, what do you make of the evil?” That’s what you will say. Suffice it that I am inclined to deny the existence of evil. Not another word will I say upon the subject; but if you come back to it yourself, then be it on your own head. You remember that when I wrote last I had just returned from visiting the Cullingworths at Avonmouth, and that he had promised to let me know what steps he took in appeasing his creditors. As I expected, I have not had one word from him since. But in a roundabout way I did get some news as to what happened. From this account, which was second-hand, and may have been exaggerated, Cullingworth did exactly what I had recommended, and calling all his creditors together he made them a long statement as to his position. The good people were so touched by the picture that he drew of a worthy man fighting against adversity that several of them wept, and there was not only complete unanimity as to letting their bills stand over, but even some talk of a collection then and there to help Cullingworth on his way. He has, I understand, left Avonmouth, but no one has any idea what has become of him. It is generally supposed that he has gone to England. He is a strange fellow, but I wish him luck wherever he goes. When I came back I settled down once more to the routine of my father’s practice, holding on there until something may turn up. And for six months I have had to wait; a weary six months they have been. You see I cannot ask my father for money—or, at least, I cannot bring myself to take an unnecessary penny of his money—for I know how hard a fight it is with him to keep the roof over our heads and pay for the modest little horse and trap which are as necessary to his trade as a goose is to a tailor. Foul fare the grasping taxman who wrings a couple of guineas from us on the plea that it is a luxury! We can just hold on, and I would not have him a pound the poorer for me. But you can understand, Bertie, that it is humiliating for a man of my age to have to go about without any money in my pocket. It affects me in so many petty ways. A poor man may do me a kindness, and I have to seem mean in his eyes. I may want a flower for a girl, and must be content to appear ungallant. I don’t know why I should be ashamed of this, since it is no fault of mine, and I hope that I don’t show it to any one else that I AM ashamed of it; but to you, my dear Bertie, I don’t mind confessing that it hurts my self-respect terribly. I have often wondered why some of those writing fellows don’t try their hands at drawing the inner life of a young man from about the age of puberty until he begins to find his feet a little. Men are very fond of analysing the feelings of their heroines, which they cannot possibly know anything about, while they have little to say of the inner development of their heroes, which is an experience which they have themselves undergone. I should like to try it myself, but it would need blending with fiction, and I never had a spark of imagination. But I have a vivid recollection of what I went through myself. At the time I thought (as everybody thinks) that it was a unique experience; but since I have heard the confidences of my father’s patients I am convinced that it is the common lot. The shrinking, horrible shyness, alternating with occasional absurd fits of audacity which represent the reaction against it, the longing for close friendship, the agonies over imaginary slights, the extraordinary sexual doubts, the deadly fears caused by non-existent diseases, the vague emotion produced by all women, and the half-frightened thrill by particular ones, the aggressiveness caused by fear of being afraid, the sudden blacknesses, the profound self-distrust—I dare bet that you have felt every one of them, Bertie, just as I have, and that the first lad of eighteen whom you see out of your window is suffering from them now. This is all a digression, however, from the fact that I have been six months at home and am weary of it, and pleased at the new development of which I shall have to tell you. The practice here, although unremunerative, is very busy with its three-and-sixpenny visits and guinea confinements, so that both the governor and I have had plenty to do. You know how I admire him, and yet I fear there is little intellectual sympathy between us. He appears to think that those opinions of mine upon religion and politics which come hot from my inmost soul have been assumed either out of indifference or bravado. So I have ceased to talk on vital subjects with him, and, though we affect to ignore it, we both know that there is a barrier there. Now, with my mother—ah, but my mother must have a paragraph to herself. You met her, Bertie! You must remember her sweet face, her sensitive mouth, her peering, short-sighted eyes, her general suggestion of a plump little hen, who is still on the alert about her chickens. But you cannot realise all that she is to me in our domestic life. Those helpful fingers! That sympathetic brain! Ever since I can remember her she has been the quaintest mixture of the housewife and the woman of letters, with the highbred spirited lady as a basis for either character. Always a lady, whether she was bargaining with the butcher, or breaking in a skittish charwoman, or stirring the porridge, which I can see her doing with the porridge-stick in one hand, and the other holding her Revue des deux Mondes within two inches of her dear nose. That was always her favourite reading, and I can never think of her without the association of its browny-yellow cover. She is a very well-read woman is the mother; she keeps up to date in French literature as well as in English, and can talk by the hour about the Goncourts, and Flaubert, and Gautier. Yet she is always hard at work; and how she imbibes all her knowledge is a mystery. She reads when she knits, she reads when she scrubs, she even reads when she feeds her babies. We have a little joke against her, that at an interesting passage she deposited a spoonful of rusk and milk into my little sister’s car-hole, the child having turned her head at the critical instant. Her hands are worn with work, and yet where is the idle woman who has read as much? Then, there is her family pride. That is a very vital portion of the mother. You know how little I think of such things. If the Esquire were to be snipped once and for ever from the tail of my name I should be the lighter for it. But, ma foi!—to use her own favourite expletive—it would not do to say this to her. On the Packenham side (she is a Packenham) the family can boast of some fairly good men—I mean on the direct line—but when we get on the side branches there is not a monarch upon earth who does not roost on that huge family tree. Not once, nor twice, but thrice did the Plantagenets intermarry with us, the Dukes of Brittany courted our alliance, and the Percies of Northumberland intertwined themselves with our whole illustrious record. So in my boyhood she would expound the matter, with hearthbrush in one hand and a glove full of cinders in the other, while I would sit swinging my knickerbockered legs, swelling with pride until my waistcoat was as tight as a sausage skin, as I contemplated the gulf which separated me from all other little boys who swang their legs upon tables. To this day if I chance to do anything of which she strongly approves, the dear heart can say no more than that I am a thorough Packenham; while if I fall away from the straight path, she says with a sigh that there are points in which I take after the Munros. She is broad-minded and intensely practical in her ordinary moods, though open to attacks of romance. I can recollect her coming to see me at a junction through which my train passed, with a six months’ absence on either side of the incident. We had five minutes’ conversation, my head out of the carriage window. “Wear flannel next your skin, my dear boy, and never believe in eternal punishment,” was her last item of advice as we rolled out of the station. Then to finish her portrait I need not tell you, who have seen her, that she is young-looking and comely to be the mother of about thirty-five feet of humanity. She was in the railway carriage and I on the platform the other day. “Your husband had better get in or we’ll go without him,” said the guard. As we went off, the mother was fumbling furiously in her pocket, and I know that she was looking for a shilling. Ah! what a gossip I have been! And all to lead up to the one sentence that I could not have stayed at home this six months if it had not been for the company and the sympathy of my mother. Well, now I want to tell you about the scrape that I got myself into. I suppose that I ought to pull a long face over it, but for the life of me I can’t help laughing. I have you almost up to date in my history now, for what I am going to tell you happened only last week. I must mention no names here even to you; for the curse of Ernulphus, which includes eight and forty minor imprecations, be upon the head of the man who kisses and tells. You must know, then, that within the boundaries of this city there are two ladies, a mother and a daughter, whom I shall call Mrs. and Miss Laura Andrews. They are patients of the governor’s, and have become to some extent friends of the family. Madame is Welsh, charming in appearance, dignified in her manners, and High Church in her convictions. The daughter is rather taller than the mother, but otherwise they are strikingly alike. The mother is thirty-six and the daughter eighteen. Both are exceedingly charming. Had I to choose between them, I think, entre nous, that the mother would have attracted me most, for I am thoroughly of Balzac’s opinion as to the woman of thirty. However, fate was to will it otherwise. It was the coming home from a dance which first brought Laura and me together. You know how easily and suddenly these things happen, beginning in playful teasing and ending in something a little warmer than friendship. You squeeze the slender arm which is passed through yours, you venture to take the little gloved hand, you say good night at absurd length in the shadow of the door. It is innocent and very interesting, love trying his wings in a first little flutter. He will keep his sustained flight later on, the better for the practice. There was never any question of engagements between us, nor any suggestion of harm. She knew that I was a poor devil with neither means nor prospects, and I knew that her mother’s will was her law, and that her course was already marked out for her. However, we exchanged our little confidences, and met occasionally by appointment, and tried to make our lives brighter without darkening those of any one else. I can see you shake your head here and growl, like the comfortable married man that you are, that such relations are very dangerous. So they are, my boy: but neither of us cared, she out of innocence and I out of recklessness, for from the beginning all the fault in the matter was mine. Well, matters were in this state when one day last week a note came up to the Dad saying that Mrs. Andrews’ servant was ill, and would he come at once. The old man had a touch of gout, so I donned my professional coat and sallied forth, thinking that perhaps I might combine pleasure with business, and have a few words with Laura. Sure enough, as I passed up the gravel drive which curves round to the door, I glanced through the drawing-room window, and saw her sitting painting, with her back to the light. It was clear that she had not heard me. The hall door was ajar, and when I pushed it open, no one was in the hall. A sudden fit of roguishness came over me. I pushed the drawing-room door very slowly wider, crept in on tiptoe, stole quietly across, and bending down, I kissed the artist upon the nape of her neck. She turned round with a squeal, and it was the mother! I don’t know whether you have ever been in a tighter corner than that, Bertie. It was quite tight enough for me. I remember that I smiled as I stole across the carpet on that insane venture. I did not smile again that evening. It makes me hot now when I think of it. Well, I made the most dreadful fool of myself. At first, the good lady who (as I think I told you) is very dignified and rather reserved, could not believe her senses. Then, as the full force of my enormity came upon her she reared herself up until she seemed the tallest and the coldest woman I had ever seen. It was an interview with a refrigerator. She asked me what I had ever observed in her conduct which had encouraged me to subject her to such an outrage. I saw, of course, that any excuses upon my part would put her on the right track and give poor Laura away; so I stood with my hair bristling and my top hat in my hand, presenting, I am sure, a most extraordinary figure. Indeed, she looked rather funny herself, with her palette in one hand, her brush in the other, and the blank astonishment on her face. I stammered out something about hoping that she did not mind, which made her more angry than ever. “The only possible excuse for your conduct, sir, is that you are under the influence of drink,” said she. “I need not say that we do not require the services of a medical man in that condition.” I did not try to disabuse her of the idea, for really I could see no better explanation; so I beat a retreat in a very demoralised condition. She wrote a letter to my father about it in the evening, and the old man was very angry indeed. As to the mother, she is as staunch as steel, and quite prepared to prove that poor Mrs. A. was a very deep designing person, who had laid a trap for innocent Johnnie. So there has been a grand row; and not a soul upon earth has the least idea of what it all means, except only yourself as you read this letter. You can imagine that this has not contributed to make life here more pleasant, for my father cannot bring himself to forgive me. Of course, I don’t wonder at his anger. I should be just the same myself. It does look like a shocking breach of professional honour, and a sad disregard of his interests. If he knew the truth he would see that it was nothing worse than a silly ill-timed boyish joke. However, he never shall know the truth. And now there is some chance of my getting something to do. We had a letter to-night from Christie & Howden, the writers to the Signet, saying that they desire an interview with me, in view of a possible appointment. We can’t imagine what it means, but I am full of hopes. I go to-morrow morning to see them, and I shall let you know the result. Good-bye, my dear Bertie! Your life flows in a steady stream, and mine in a broken torrent. Yet I would have every detail of what happens to you.